Sharing Christ-centered hope with children who have been abused, abandoned, orphaned, or neglected while supporting foster and adoptive families through awareness, training, outreach, and partnerships. Christ followers provide for children who have been abused, abandoned, orphaned, or neglected so that they are loved in fully-equipped families, bringing about healing and generational change. Danny and Ann Marie Jones are the proud parents of three adopted children: Owen, Lilly and Emma. 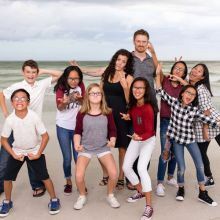 When Danny and Ann Marie set out on their personal foster care journey, God stirred in their hearts to get the local church more involved in the ministry of foster care. Danny and Ann Marie are passionate about leading the Church to the front-lines of foster care and orphan care, locally and around the world. They believe God is changing the world through the power of Jesus Christ, and that wounded children are finding hope, love and purpose as God moves His people to action. 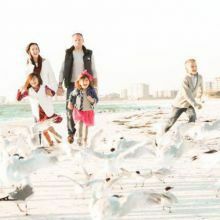 Matthew and Kaitlyn Leake have the joy of being parents to Mason, Isaiah, Kensington, and Amelia. 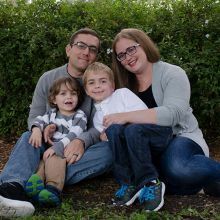 Matt and Kaitlyn have adopted from Uganda, have been licensed foster parents, and are passionate about supporting foster and adoptive families and children locally and globally. Jody and her husband, Ray, are parents to eight wonderful children. After having two biological children, Jody and Ray thought their family was complete. But God had other plans! Through the local foster care system, God added to their family a sibling group of six children through the blessing of adoption. Jody loves Bridge a Life's acknowledgement that not everyone is called to foster or adopt, but everyone can do something to help orphans locally and globally. Jody and Ray attribute much of the success of their family to a strong support network of friends, family, and their local church. Tabitha has a heart for foster families and wants to help make adoption less overwhelming for prospective adoptive parents. At the age of 10, Tabitha had a personal experience with adoption when her family adopted her younger sister from foster care. Some of Tabitha's closest friends are also adoptees, and their stories have inspired Tabitha to use the gifts God has given her to make a difference through Bridge a Life. Tabitha's husband Brandon currently serves in the United States Army. They have two boys, Micah and George, and live in Venice. Eriab, along with his wife, Barbara, and son, Ethan, reside in Uganda and oversee the Ayinza project. In 2013 Eriab had a calling to serve his rural community in Mpongo. 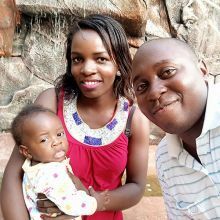 He left his job at a law firm in the capital city of Kampala and moved to Mpongo, dedicated to the idea that God could use him to bring about healing and generational change for Mpongo. Eriab says, "I think God has a purpose for every calling because once I came to Mpongo God sent a team from the US to join us. It was my dream to see this community transforming and little did I know that God had already set a team I was going to work with." Eriab works tirelessly to help Mpongo grow spiritually while moving them towards community sustainability with initiatives such as the school lunch program, child sponsorship, sanitation training, and improved agricultural techniques.